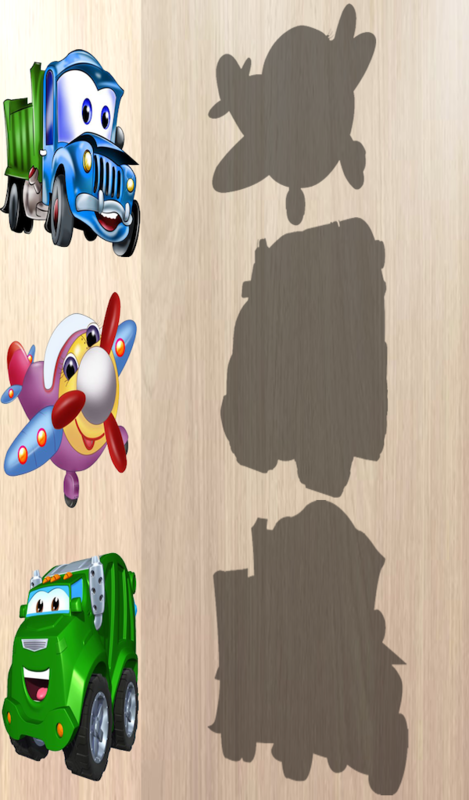 Does your toddler love cars , trucks and every kind of peg puzzle and wooden puzzle ? If your child want to play with a lot of vehicles you have found the right educational game ! This app is a challenging and fun way to develop fine motor skills, visual perception and hand-eye coordination. Touch the screen to drag and drop the vehicle in the right spot. Pop all the bubbles and play with the reward screen when a puzzle is solved. Tap on the road sign to pass to the next level. 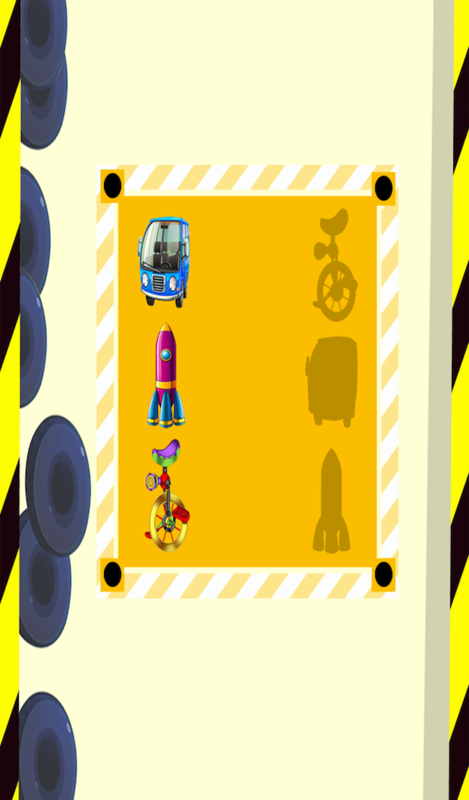 20 beautiful puzzles in the unlocked version with colorful vehicles: asphalt roller, blimp, jumbo jet, bus, excavator, truck, fire truck, tractor, motorcycle, motors , airplane, police car, taxi , helicopter, truck lift, van, forklift, ambulance, race car, dozer, cranes, digger, Earth mover, Loader Excavator Bulldozer, telescopic crane, bobcat , plane , jet, harley and many others! Funny cartoon sound effects and vehicles sounds ! A stunning collection of cars with these free puzzles games ! When a puzzle is completed toddlers are rewarded with celebrations and interactions. Your toddler will have fun with this wooden peg puzzle and beautiful vehicles. If your toddler loves to play with toy cars this is the best puzzle game for your child. Help your kids to learn and inspire your toddler’s creativity and imagination! In this free game for toddlers you can unlock all puzzles and remove the advertising in app. 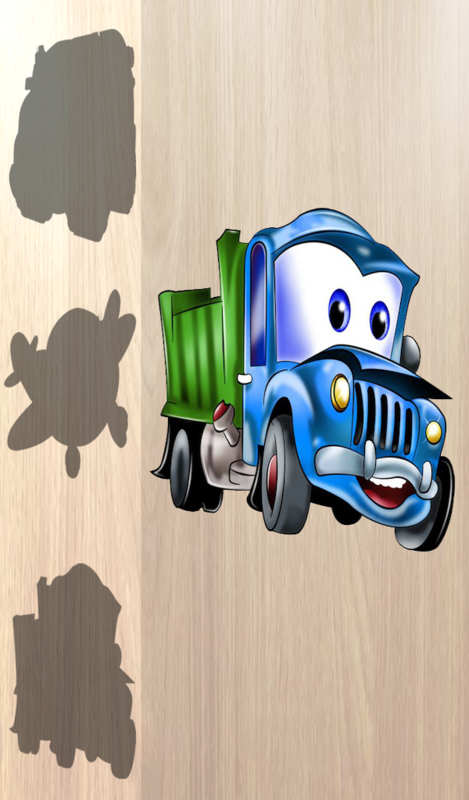 Puzzles for Toddlers – Vehicles, Cars and Trucks is a must have app for little kids. You have to replace same size backgrounds only & audio as well must require android studio knowledge seller is not responsible for lacking knowledge of android studio error or gradle issues we will only support if its coding issue.